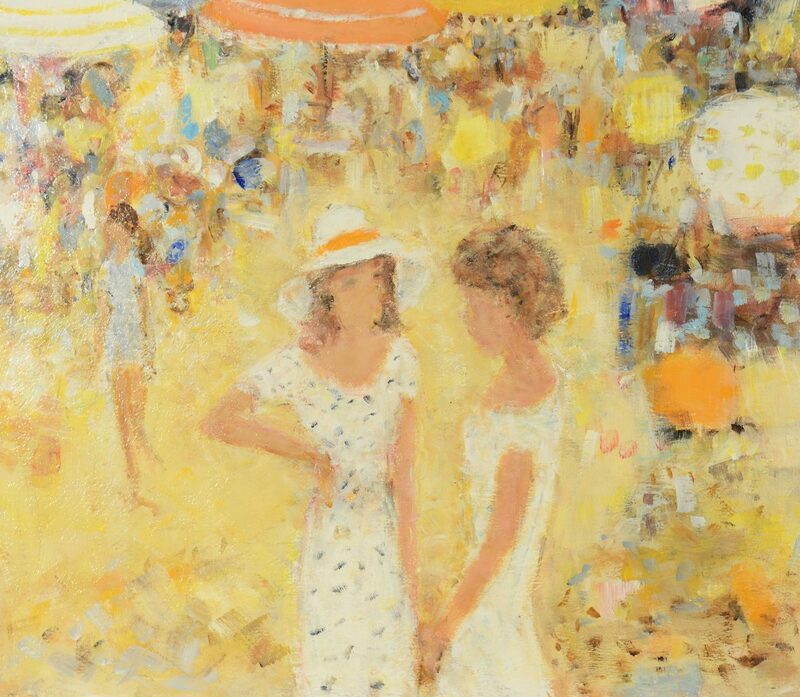 Alain Rousseau (American/French, b. 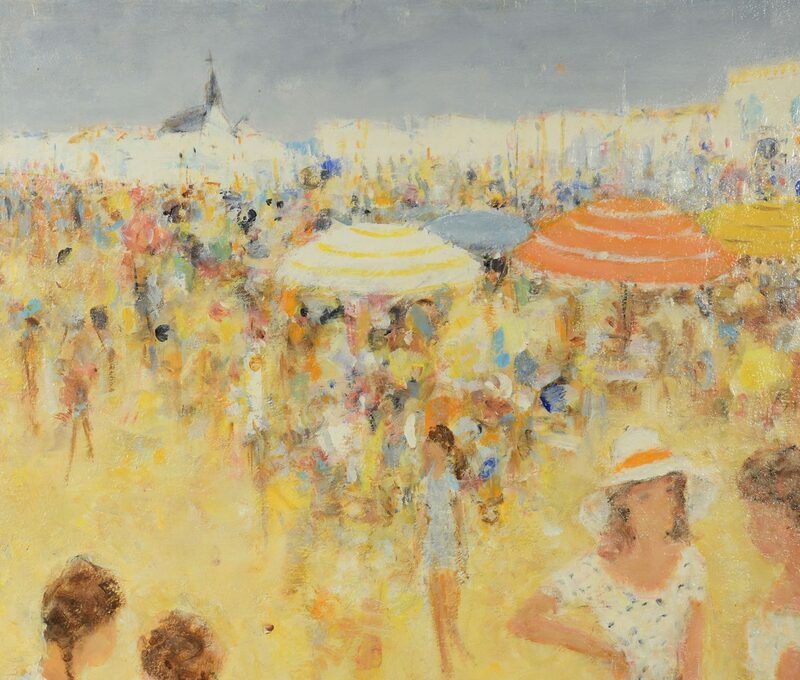 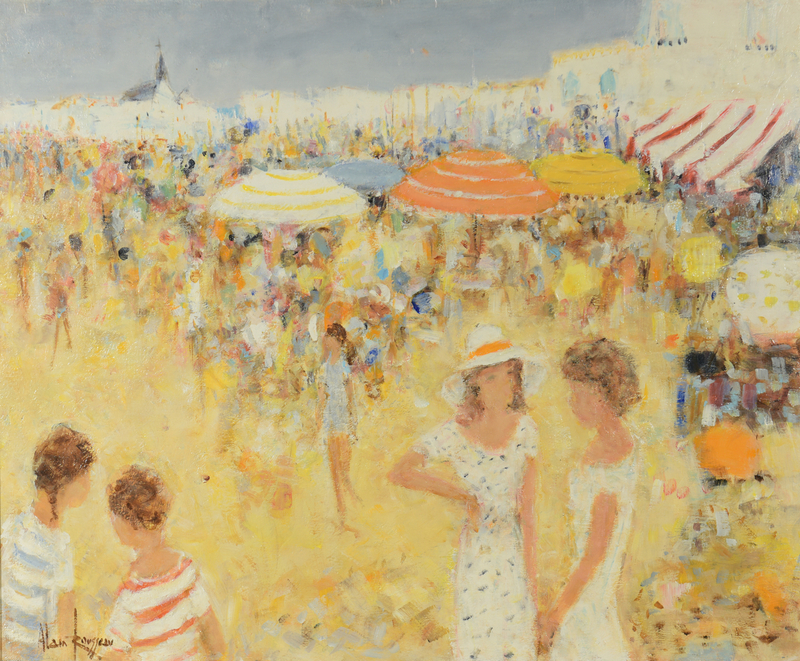 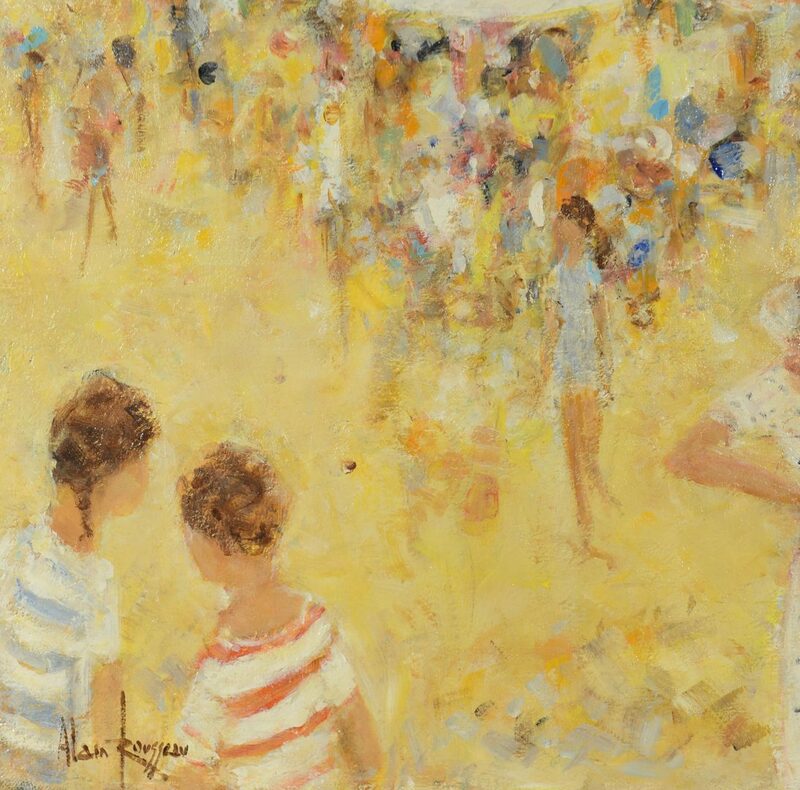 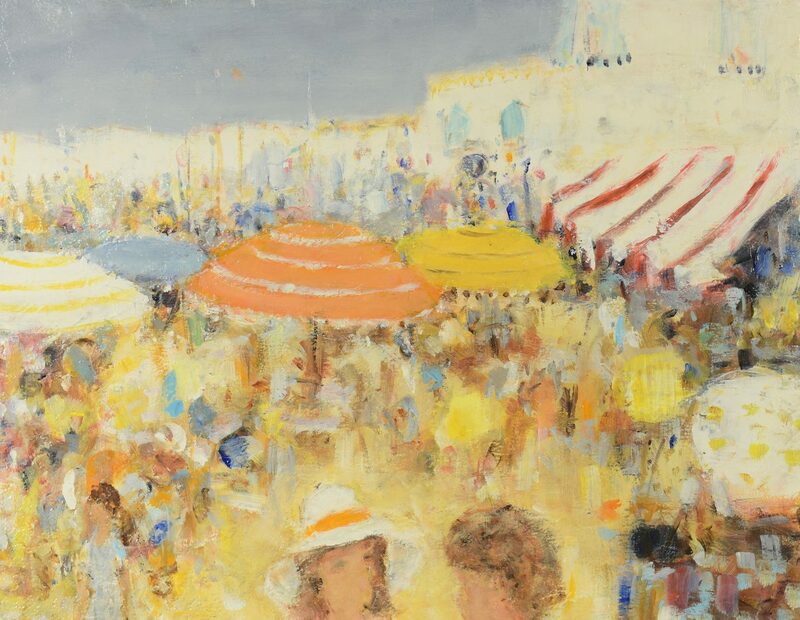 1926) oil on canvas beach scene, circa 1960s, depicting women and children in the foreground and a crowded coastline with brightly colored umbrellas in the background. Signed lower left. 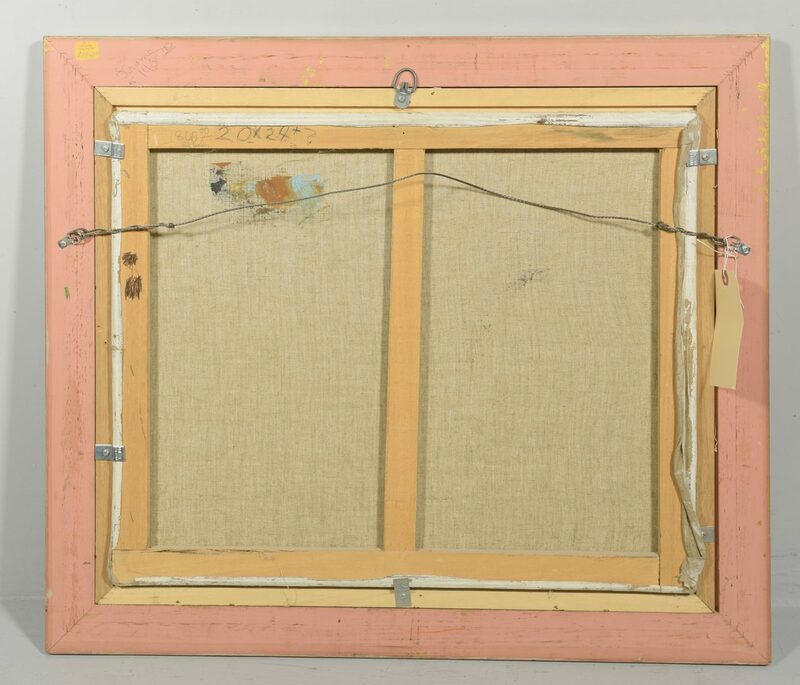 Giltwood molded frame with linen liner. 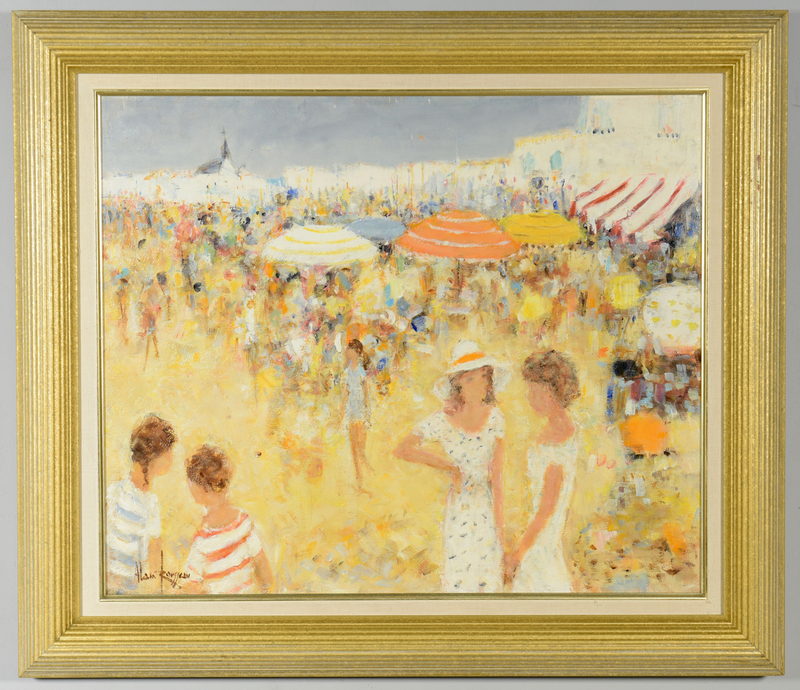 Sight – 20" H x 24" W. Framed – 26" H x 30" W. CONDITION: Excellent condition.